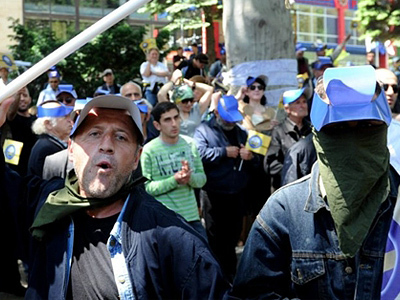 Freedom of speech carried a dear price for the Georgian opposition, which attempted to perform an unsanctioned nocturnal rally in the center of the capital – only to find out the truth hides within a police club. 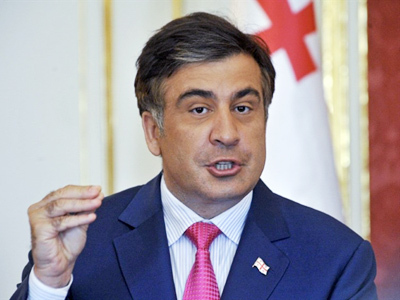 Thousands have taken part in five days of protests calling for President Mikhail Saakashvili to resign. 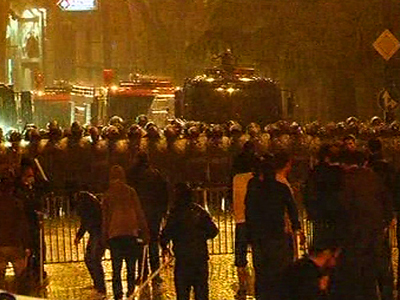 On Thursday night, they were dispersed by armed policemen ahead of an Independence Day military parade. Dozens ended up in hospitals, and almost 100 in jail. Moscow says the violent crackdown on mass protests in Georgia is a blatant abuse of human rights and is demanding an international investigation. 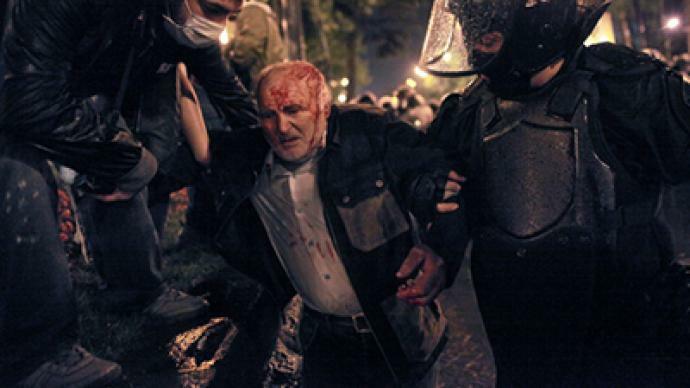 On Thursday night the center of Tbilisi became a battleground, with thousands of armed riot police closing in on all sides and angry protestors letting out war cries. The scene outside the Parliament building, in the vicinity of which the nasty fighting took place, now looks very different – clean and decorated, whereas less than 24 hours ago the entire area was chaos, as violent clashes broke out when police dispersed the protesters. 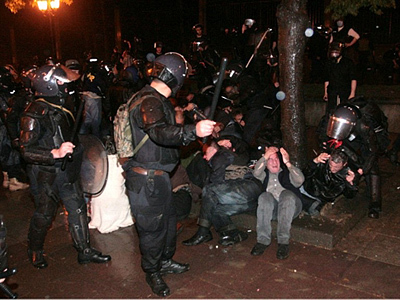 Tear gas filled the streets as police quickly moved among the disorientated crowd, firing rubber bullets and throwing people to the ground. A police officer took aim at an RT cameraman, luckily realizing in time it was the media. Others were not so lucky, including Spanish RT correspondent Diego Marin, who was caught up in the confusion. “The policeman appears – okay. 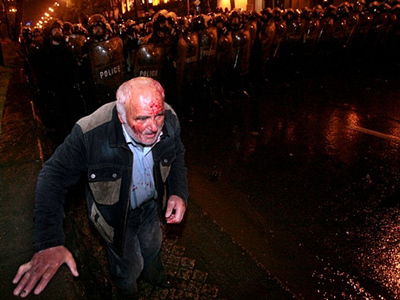 They were very aggressive with the people, they started to hit all the people. Suddenly I felt pain in my stomach and realized they had hit me with some kind of bullet. This was a rubber bullet, and they hit me and I started to run,” Marin recalled. With police vastly outnumbering protestors, the operation was fast and severe. As the dust settles, the struggle continues. Many are searching hospitals for relatives and friends – but they are meeting resistance. Over 90 people have now been placed under what is being called administrative arrest. It carries a penalty of up to two months in prison. The leader of the rally, though, managed to escape the mayhem in a convoy, her calls to fight to the end drowned out by the reality of events. “I can’t trust anyone anymore, I'll never come to a protest rally again, I just want to be safe and alive,” said one of the wounded protestors. 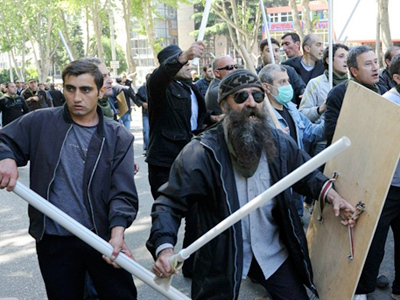 At the military parade for Independence Day, Saakashvilli spoke of supporting freedom of speech for all Georgians, but many protestors paid a high price for trying to have their say.